Like the stars she studies, astrophysicist Maura McLaughlin has reached some lofty heights in her young career as she works to shed further light on the Universe and the physical laws governing it, including Einstein’s theory of relativity. Maura is an assistant astrophysics professor at West Virginia University where her work mainly involves researching neutron stars – burned out remnants of stars known as pulsars that are formed in supernova explosions following the collapse of massive evolved stars. “These exotic objects are more massive than the Sun, and can spin over 700 times a second,” says Maura. “They have extremely high magnetic fields – over a trillion times the Earth’s,” making them vibrant sources of radio waves, which are beamed like beacons of a lighthouse along their magnetic axes, she explains. Maura studies these remarkable stars with X-ray and gamma-ray satellites and with some of the largest radio telescopes in the world. Her work is helping to reshape current thinking on the laws governing the Universe. For example, in 2004, she was part of a team that discovered the only known double-pulsar system – two pulsars locked in close orbit around each other. And last year she received a $6.5 million grant award from the National Science Foundation (NSF) to launch a research partnership with astrophysicists around the globe to directly detect for the first time the presence of gravitational waves. If this project succeeds, it stands to greatly transform physics by opening new vistas to understanding the universe, including its relationship to Einstein’s theory of general relativity. This landmark NSF grant — known as the PIRE (Partnerships for International Research and Education) program award — is yet another achievement for Maura and her scientific team, and further positions West Virginia University as a cutting-edge research institution in physics. Science has previously found indirect evidence of gravitational waves, but these waves have never been directly detected. Maura became hooked on science as a schoolgirl in Oreland, Pa., reading science fiction, the works of Isaac Asimov, and the writings of the astronomer Carl Sagan and the physicist Stephen Hawking. She later went on to Penn State University to earn her Bachelor of Science degree. At Cornell University, she earned her Ph.D. in physics, working on pulsars, and then moved on to the University of Manchester in England as a National Science Foundation math and physical sciences distinguished research fellow and as a postdoctoral research associate. She joined West Virginia University in 2006. 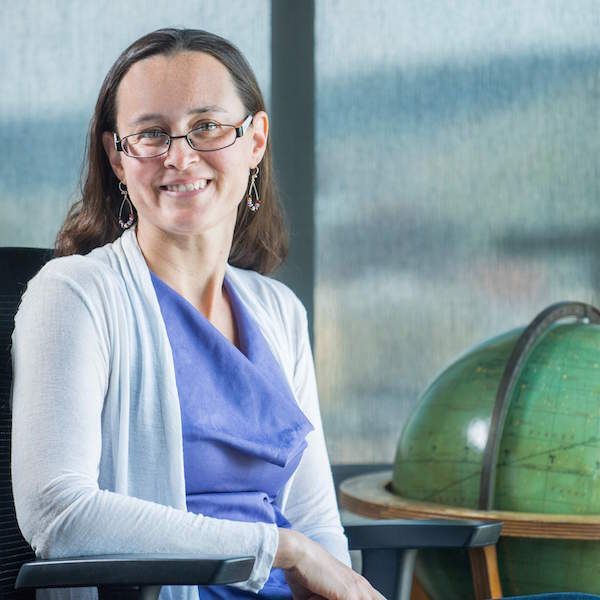 In addition to her busy research activities, Maura is involved with a noted outreach endeavor called the Pulsar Search Collaboratory to interest high-school students, including under-represented rural youths and females, in the search for pulsars with the Green Bank Telescope. This project has been successful at changing the career paths of students and increasing the number of diversity of physics majors at WVU. It has also been a scientific success, with four new pulsars found by the students so far.